We’re really looking forward to the Dingle International Film Festival which will take place from 21st-24th March and Animation Dingle which runs alongside on 22nd-23rd March. Dingle Hub will run a Claymation Workshop as part of the festival aimed at young animators aged 11 to 16; it will focus on character development, and how design can inform character in animation. Participants will explore this through working in teams to create short animated scenes. They will plan the scene, design and build the characters and backgrounds and then shoot the animation under the camera. The workshop will be facilitated by Paper Panther. Paper Panther team have been facilitating workshops for animation fans of all ages around the country for the past ten years. Also, the Animation Short Film Gráinne has been selected for the shortlist for YAOTY (Young Animator of the Year Award 2019). The film was made by a group of young animators as part of a 10-week animation workshop organised by the Dingle Hub. The film, along with the shortlisted 10 YAOTY films, will screen in the Beehive Theatre, Dingle on Saturday the 23rd March 2019 at 12.30pm. We were fortunate to meet with screenwriter and director, Kirk Jones, recently and as a result he will give a talk as part of Pow Wow with casting director Ros Hubbard and his film ‘Waking Ned Devine’ will be screened in St. James’ Church on Sunday 24th March @ 5.30p.m. with Q&A. ESB Networks are delighted to support this festival too and will have the opportunity to update the community on the progress of the Dingle Project during many of the events on Friday 22nd March. If you have been following our Internet of Things (IoT) Water Monitoring Project, which is funded under the Fisheries Local Area Development Scheme through BIM, you may well have seen our installation teams out and about on our harbours and rivers in recent weeks. The locations for the water monitoring project are in Dingle, Ventry and Castlemaine Harbours as well as the Milltown, Owenmore and Laune rivers and also includes Tralee Bay. The water sensors are capturing valuable water quality data while this test and trial project is also showcasing the potential of IoT technologies in the locality and beyond as well as the potential of such technologies to help stimulate enterprise in this area. The equipment has been installed in Ventry Bay and includes an automated monitoring system which records environmental parameters such as conductivity, dissolved oxygen, nitrates, pH and water temperature. This system will record and identify alterations in the above environmental parameters and will ultimately be made available for the benefit of community, aquaculture businesses and state organisations. 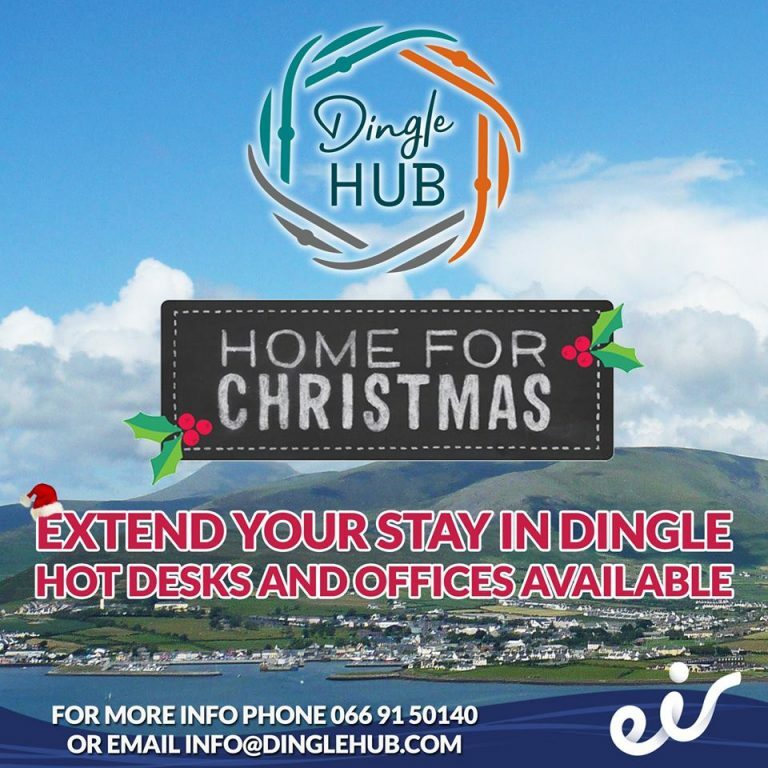 The Dingle Creativity and Innovation Hub is a Community Enterprise supported by Enterprise Ireland, the Dept of Rural and Community Development through the Town and Village Renewal Scheme, eir, Údarás na Gaeltachta, Kerry Co Co and the Dingle Chamber Alliance. The Claymation Workshop is funded by Kerry County Council Town & Village Funding and Department of Rural and Community Development in association with Dingle Hub & Dingle International Film Festival and Animation Dingle. 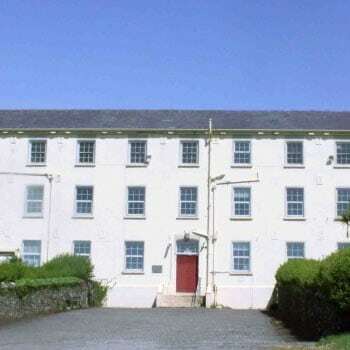 Tugadh maoiniú do na ceardlana beochana ó Bord Oideachais agus Oiliúna Chiarraí, Clár Íldánach Chiarraí, Clár TechSpace, Údarás na Gaeltachta agus Roinn na nEalaín.